I’ve been contemplating on creating this blog post for a couple of days because I am not fully finished editing this wedding. I saw on Facebook WAY early this morning (around 3AM to be exact, haha) that it was Megan’s birthday today. 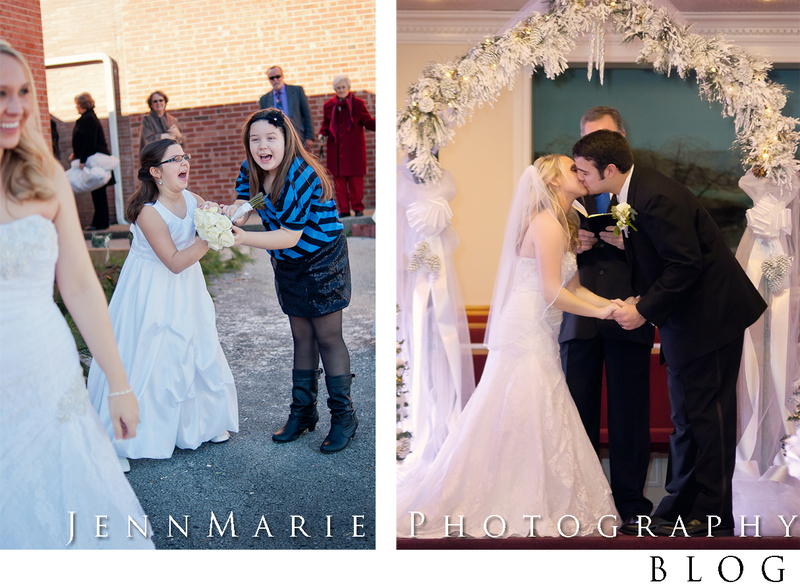 Well, what great birthday present would it be to get your featured blog post with some of your wedding photos published EARLY? I think it’s awesome anyway, haha. Anyway, I’m rambling…. 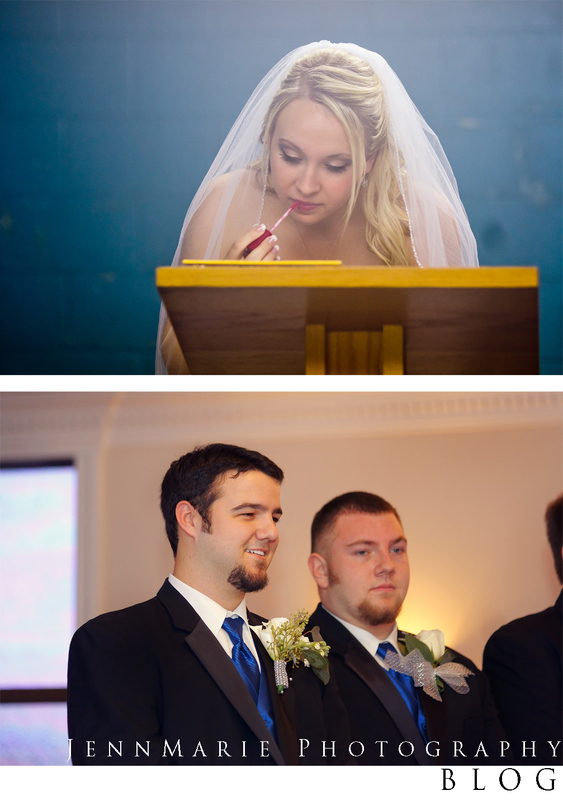 This wedding was absolutely beautiful. 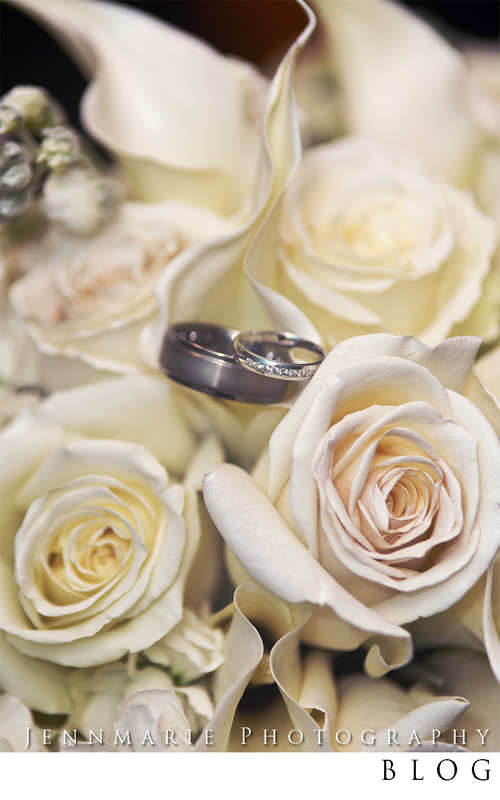 I cannot express in words how much I was anticipating shooting this wedding. 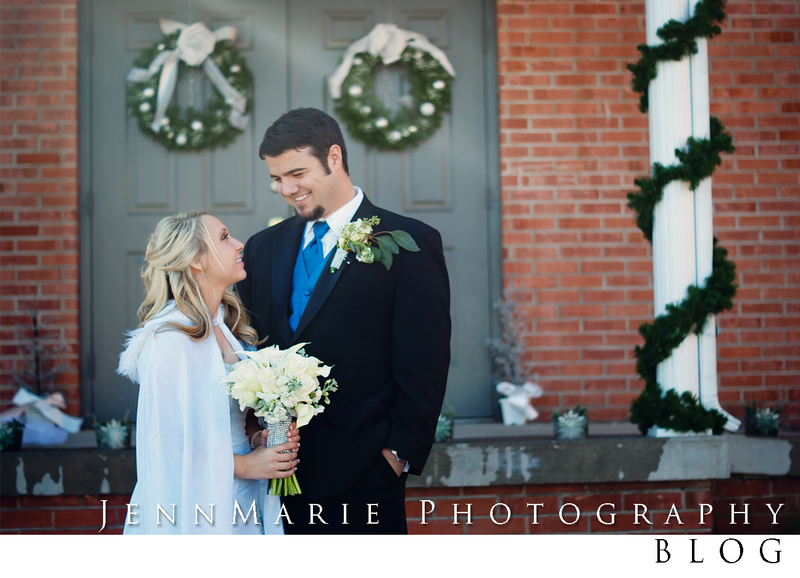 They were married in Kentucky on December 22nd, so you can imagine the theme to be…you guessed it….Winter Wonderland. At least that’s what I thought of it to be. There was such gorgeous decor that they came up with themselves and the mother of the bride knew EXACTLY what she was doing as well. Everything was just perfect. 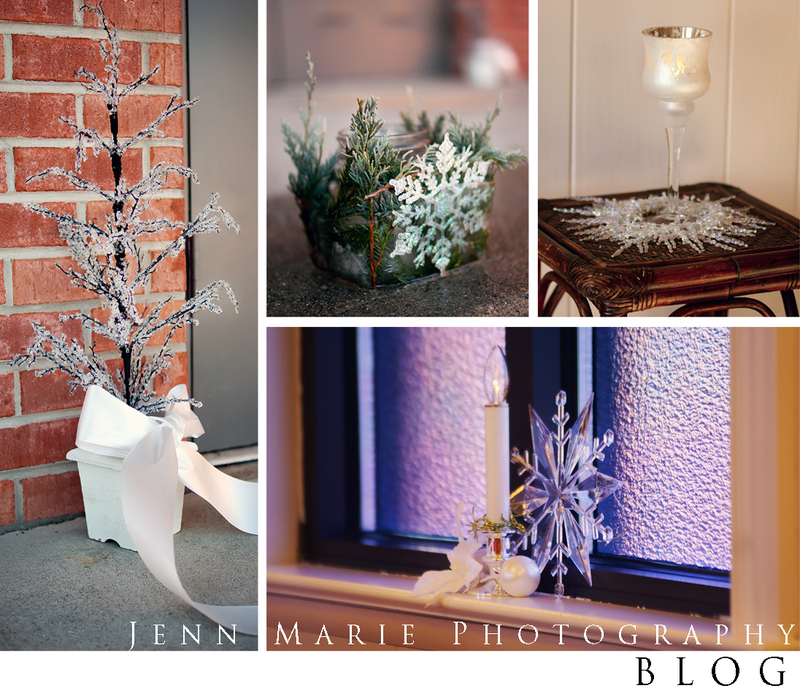 Painted pine cones, fake snow, white Christmas lights as well as small, lit trees sitting around….just some examples of the awesome-ness that this wedding was. This shot, after going through them all, turned out to be one of my favorites (I have a LOT of favorites from this wedding, haha!). They both were giving the most genuine and beautiful smiles and the lighting was just perfect. Here are just a few examples of the decor they had at the wedding. The top, middle picture? Yeah…..the pine, candle and snowflake is in a cube of ICE. Yes! These super awesome people came up with the idea to put these things in square, plastic bowls and freeze this stuff. And since it was cold outside, it didn’t even melt that much. Yeah, my mind…was blown, haha.